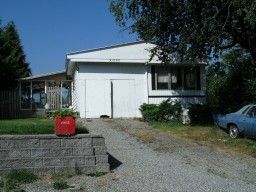 2 Bedroom mobile home on owned 51'x120' lot. 1000 sq.ft. on main, 820 sq.ft. basement. Single garage. Lots of parking.